If you’ve taken the time to consider where you will live as you get older and you’ve decided to stay at home, you are not alone. According to one study, almost 90 percent of seniors over age 65 want to live at home rather than moving to a nursing home or assisted living facility. Aging at home is always the preferable option but in some instances, it’s just not possible for medical or safety reasons. Today, aging in place is more doable than it has been and more adults are considering it a real possibility. But what if you are not sure if you want to stay at home? 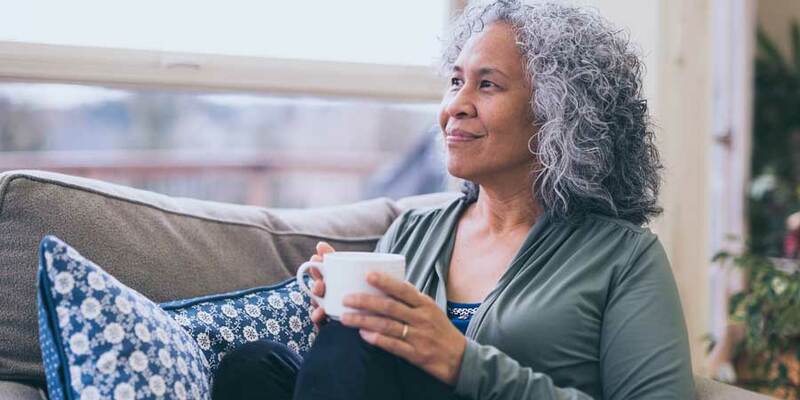 Our list of five benefits of aging in place will give you, not only reasons to age in place but detailed information on what these reasons mean and how they affect you in the real world. Nursing homes and assisted living facilities are expensive. Add in that many seniors have almost paid off their home mortgages with over 20 percent between 65 and 74 having already paid them off completely, and staying at home becomes even more attractive. Also, Medicare doesn’t cover long-term placement in facilities like this, although the Medicare PACE program, available in limited areas, can help cover some in-home alternatives. Medicaid only picks up costs after almost everything an individual owns is sold to cover costs. The average cost of a semi-private room in a nursing home in 2016 was $6,844 a month. That’s over $82,000 a year, more than the average household income in 2014 of just over $73,000 a year, according to the US Census Bureau. In other words, nursing home care for one person can quite literally cost more than the combined income of a married working couple in the prime of their lives. Average costs for assisted living are roughly half of a nursing home’s cost, at $3,628 a month. That’s still over $43,000 a year. Comparatively, by staying at home, seniors can take advantage of Medicare coverage to help pay for in-home help on a part-time basis. Medicare covers part-time, in-home skilled nursing care and home health aide care, provided it is ordered by a doctor and you are homebound according to Medicare definitions. Even without Medicare help, in-home care is usually cheaper than assisted living or nursing homes with health aide services averaging $20.50 an hour and homemaker services (non-medical help) running $20 an hour. While Medicare does not pay for homemaker services, four hours a day of service, which could include things like cleaning, meal prep, transportation to errands or activities, and other general help, would only be $80 a day or around $2,400 a month. Many seniors need far less than four hours a day, however, so costs could be significantly lower. In addition, many seniors have friends or family nearby that can assist when needed and communities have support services for seniors that make staying at home possible without paying for extra care. Meals on Wheels, either the official organization or local similiar organizations, provide meals to seniors in their homes. Many areas also have senior transport available for no cost or very low cost for shopping and doctor visits. Your local Agency on Aging is also a valuable resource. There’s no place like home. Your favorite chair, your mattress instead of a hospital bed, the space you are accustomed to, the temperature, the smells, just the familiarity of the space, all go towards the comfort of staying in your own home. Also, in a nursing home, there is a real chance seniors will have to deal with a roommate not of their choosing in a semi-private situation. Aging in place offers the comfort of privacy that just isn’t available in many live-in facilities. Necessity, and in many cases state and federal laws, require certain things be done in group living facilities that don’t have to be done at home. The way things are cleaned may require industrial cleaners with strong smells, there may be no carpet in many areas for ease of cleaning, and doors may not lock in some cases. The Nursing Home Reform Act of 1987 dealt with reducing neglect in nursing homes but that legislation only afforded basic rights such as the right to nutrition. The regulations surrounding Medicare and Medicaid apply many other standards but still offer huge loopholes to older facilities that would directly damage someone’s comfort. For example, under the latest long-term care facility rules, only new facilities or newly certified facilities have to provide a bathroom with a sink and commode in all residential rooms. Loss of memory is a scary prospect for many as they age and being moved into a new environment, particularly an institutional environment, can worsen the progression of memory loss. 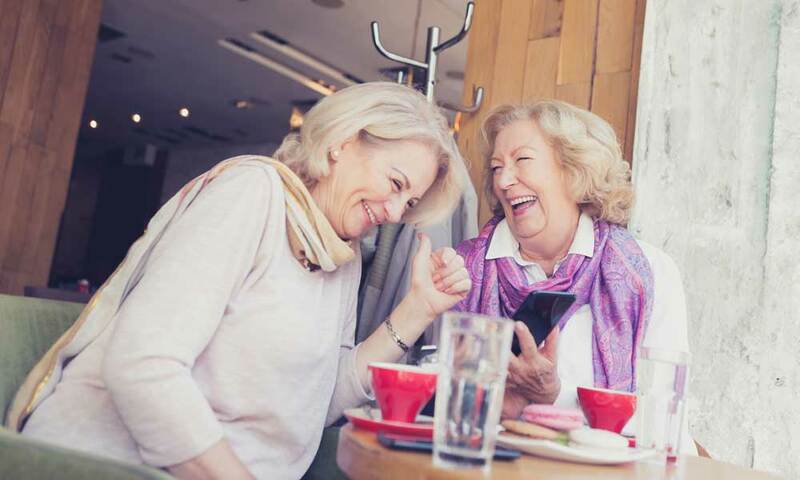 Because of the increased social network connections and being able to keep your current social network that comes with staying in your community, a decrease in cognitive function can be slowed. One study found that seniors with “frequent” social activity contact saw a 70 percent reduction in cognitive decline when compared with more isolated individuals. There is also benefit to the familiarity of your surroundings helping to trigger memory. Smell is one of the most powerful memory facilitators for example, and studies have shown that in the early stages of Alzheimer’s, smells increase memory recall. Staying in your own home helps ensure familiar sights, sounds, and smells to help keep you connected cognitively. Aging in place allows seniors to keep their current social network and expand upon it. It not only allows seniors to stay near current friends but it gives them the freedom to host social events if they prefer. Because many communities have vibrant and active senior centers, volunteer opportunities and other senior groups, seniors often find that their social circle expands dramatically with older active adults as they reach the age to join the senior center groups and activities. 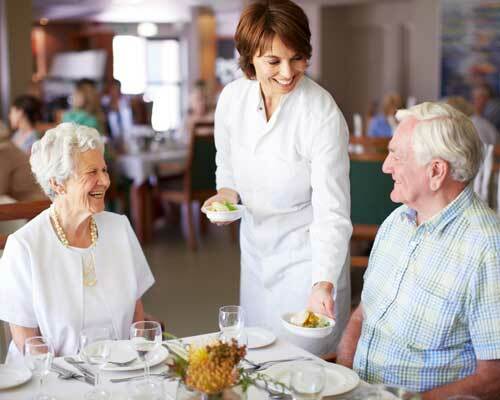 Many seniors find that it is simpler to eat out rather than cook at home and this gives another avenue of social connection. Most communities have local restaurants that offer senior discounts, making eating out more affordable. Also, with the obesity rate for seniors age 65 to 74 being 40 percent, social activities can help you stay active to benefit your health and your weight. You’ve spent the majority of your life working so retirement should be about doing what you want. Staying at home allows seniors to be more independent and make their own decisions on a variety of topics. Even with live-in or occasional in-home help, you’re in charge of scheduling activities instead of a nursing home or assisted living situation where you must comply with a group schedule. In some group living situations, there are restrictions on visitors and meal times. Aging in place allows you to maintain control over your environment as well. Remodeling, repainting, rearranging furniture, redecorating, or even controlling the thermostat are things that might not be possible in other living situations. Especially for seniors who only need occasional help, aging in place is the best way to maintain independence and freedom. Even when some help is needed, aging in place lets you choose who will help and how they will help. This can be especially important when getting help with things like finances where it is vital to make sure that the person helping has your best interests in mind.